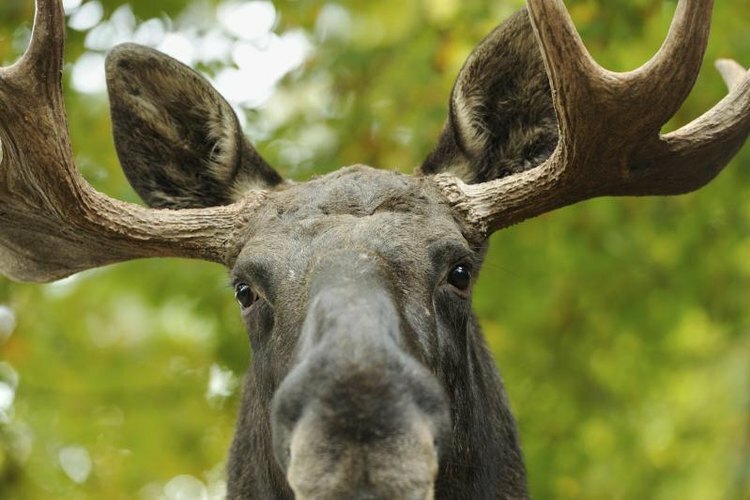 Moose are large animals that weigh up to 1,500 pounds. Because moose are large, dangerous animals, the best way to survive an attack is to avoid one altogether. However, if you find yourself confronted by an angry moose, try to back away slowly while talking in a reassuring voice. If the moose charges you, try to climb a tree or use one as a shield. If the moose knocks you off your feet, curl into the fetal position and protect your head until it leaves. Moose are typically retiring animals that avoid conflicts with humans, but bulls often become aggressive during their early fall breeding season. Cows may become very defensive while raising their offspring in the early summer, and any moose that feels threatened may become violent. Always keep your distance from moose, but be sure to watch for signs of agitation. Moose that clench their teeth, raise the hair on the back of their necks, stomp their feet or vocalize are likely to charge.